Some dates are completely forgettable. You go to that one place you always go to and get that one thing you like, and it’s a perfectly acceptable, yet undeniably bland, evening. It can be hard to find romance in everyday places and average experiences. Sometimes couples need to think outside the box and explore memorable, unique, and even strange places to inspire a little excitement and intrigue in their dates. You can easily forget a spaghetti dinner at a chain restaurant — but you’ll never forget the smell of the maggoty cheeses on display at the Disgusting Food Museum in Malmö, Sweden. The Disgusting Food Museum lives up to its name by displaying truly gut-wrenching, nausea-inducing foods from different cultures. Its 80 exhibits offer a close-up look, smell, and even taste of 10 to 15 real foods actually eaten by someone somewhere. Some of the displays include the actual dishes, while others showcase videos or replicas of the putrid foods — with smelling jars available for your enjoyment and revulsion. 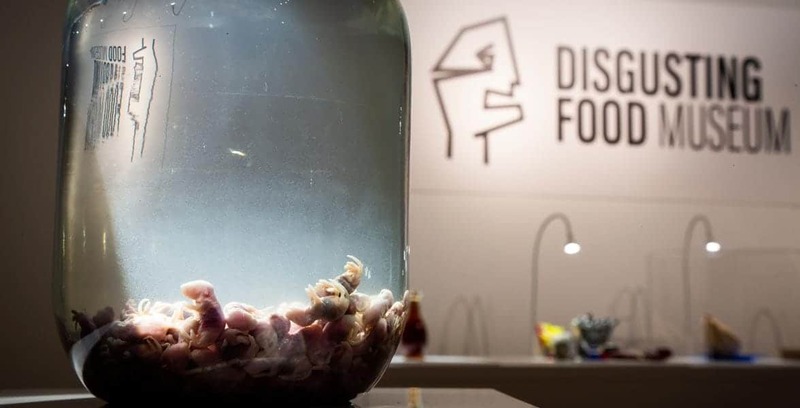 The Disgusting Food Museum puts a spotlight on unusual delicacies. The Disgusting Food Museum tantalizes and tortures the taste buds in a number of eclectic displays. The Altar of Stinky Cheese is a popular yet repulsive exhibit where people can get a whiff of some of the stinkiest cheeses in the world. The Vieux Boulogne from France is the pungent star of the show. The Disgusting Food Museum is an educational and fun tourist attraction. Visitors can learn about different delicacies from around the world, and they can have fun assaulting their senses with something they’ve never encountered before. The Disgusting Food Museum sprang from the imagination of Dr. Samuel West, who has a background in psychology and creativity. Samuel has made a career of building monuments to the unusual and bizarre. He created the Museum of Failure to display failed products and services designed by otherwise successful companies. Samuel enjoyed challenging the assumptions of visitors and brainstormed ways to further push their limits and change the way they saw the world. He landed on the idea of highlighting so-called disgusting yet sustainable foods that could be good alternatives to beef, pork, and other mainstream meats. Cuy, or guinea pig, is a Peruvian dish served in only the best fine dining establishments in South America. Samuel took the idea to his friend Andreas who was looking for a way to get out of the IT industry and jumped on the plan to make a museum focused on disgust. Together, Samuel and Andreas developed a menu of unconventional foods that are sure to turn heads and turn stomachs. The Disgusting Food Museum is very much a labor of love, created after long hours of research and collaboration. This tourist attraction is on a mission to make people stop and consider why they find certain foods appealing and others repulsive. Samuel and Andreas opened the first Disgusting Food Museum exhibit in Malmö, Sweden. It was originally supposed to run from October 31, 2018, until January 27, 2019, but it became so popular that the museum has now become a permanent oddity in South Sweden. Samuel and Andreas also partner with different art institutions to set up exhibits around the world. You can send an email to [email protected] or follow the museum on Twitter or Facebook for more information about the exhibitions. The Disgusting Food Museum is open from Wednesday through Sunday from 12 p.m. until 6 p.m. The museum has an adjoining souvenirs shop and restaurant where couples can go to clear their palates and discover their opinions over a traditionally delicious Swedish meal. Believe it or not, every gross dish featured at the Disgusting Food Museum is a real food people actually eat in some cultures. Though why you would drown mice in perfectly good wine is beyond me. Curious couples can sample 10-15 of these foods at the tasting bar and discover for themselves how surprisingly edible or predictably nasty they are. The entrance ticket is a vomit bag, so you’re covered if things go awry. There is also a disgusting photo booth where couples can get a memento of their brave foray into the nauseating and peculiar. The Disgusting Food Museum also places nine noxious smell jars around the exhibits, and many curious visitors can’t help but stick their noses in the foul-smelling jars. Jell-O salad is the American contribution to the museum. Andreas told us the goal isn’t simply to collect oddly flavored food (like bacon ice cream) but to find real delicacies commonly eaten in some cultures and yet considered repulsive, bizarre, or comical in others. “Disgust is subjective so this criteria is by necessity also subjective,” Andreas said. At the Disgusting Food Museum, couples can learn about delicacies found all over the world. The 80 exhibited foods include frog smoothies from Peru, maggot cheese from Sardinia, a smelly fruit called Durian from Thailand, and the classic Swedish surströmming (aka fermented herring). Some of these dishes look more unappetizing than they really are, and sometimes visitors end up discovering they have a taste for something they would’ve never considered to be edible, much less enjoyable. Samuel and Andreas are proud curators of the world’s most disgusting foods. Upon closer inspection, some of these delicacies aren’t as bad as you’d expect, and some are much, much worse. That’s the joy of spending time in the Disgusting Food Museum. Whatever happens, you’ll end up with an incredibly unique date story. When I first heard about a museum built on disgust, my first thought was, “Why? Why in the name of sanity would anyone create this?” The more I learned about the collection, though, the more it intrigued me. It’s strangely fascinating to see what some cultures view as delicious and others view as repellent. According to Andreas, disgusting is in the eye of the beholder. 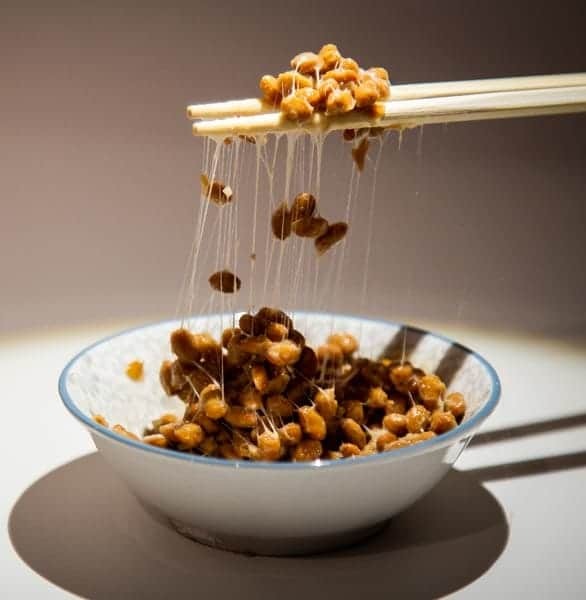 Nattō is a traditional Japanese dish made from fermented soybeans. Disgust is also contextual. The right presentation can transform a “yuck” into a “yum.” Some world-class chefs are working to make bugs more palatable dishes, and their efforts confound Western assumptions about food. 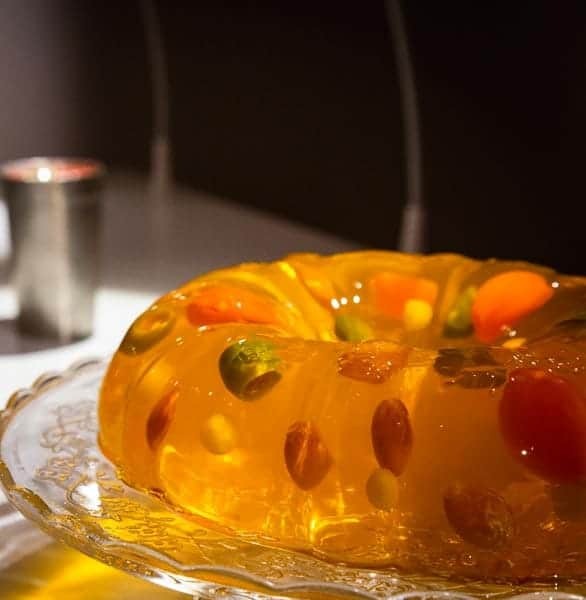 The Disgusting Food Museum has joined this movement to challenge people’s preconceived notions of taste and blur the line between delicious and disgusting. I’d say visiting this exhibit is an eye-opening experience, but a palate-opening experience may be more accurate. Dating shouldn’t be boring — it should be an adventure. And what could be more adventurous than trying meal worms together? You’ve got to admit you’re curious. Daters can satisfy their curiosity together and dare each other to test their limits at the Disgusting Food Museum in Sweden. This uncommonly interesting date spot promises a memorable experience that could be delightfully disgusting — you never know until you try. 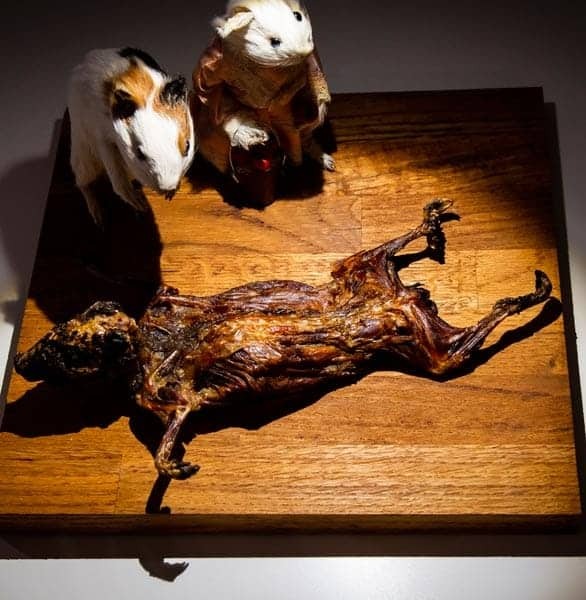 Even if you’re not planning a trip to Sweden anytime soon, you can find the Disgusting Food Museum’s exhibits popping up all over the world. Its traveling art exhibition is currently expanding its reach in popular destinations worldwide, including Los Angeles.